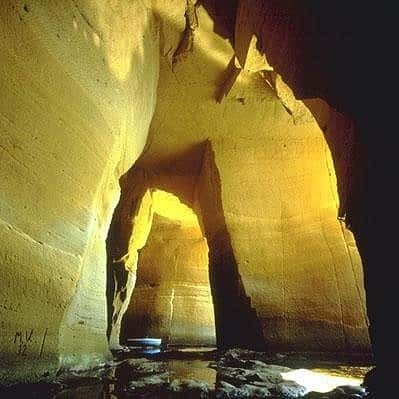 The existence of Naples basement is characterized to the morphologic and geologic conformation of the territory, composed from "tufacea" rock that has particular characteristics of lightness, friableness and stabilities. The first morphology transformations of the territory, brought about people Greeks from the 470 a.C., originated the wonderful world that it is Naples underground. 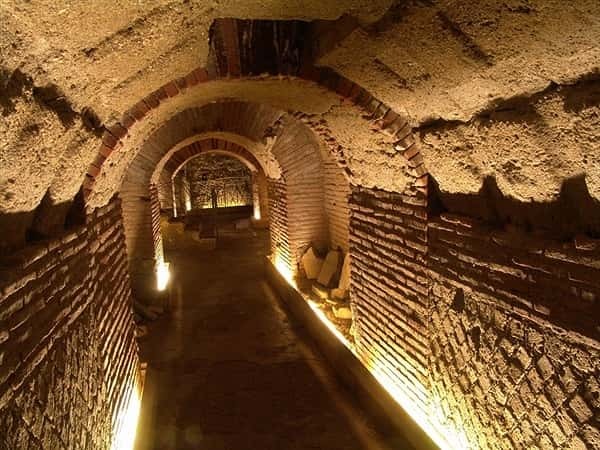 These transformations have been originated from requirements of water, that created basement cisterns used to pick up the rain and used to have material to build in Naples. In the centuries, the expansion of the city carried to the realization of waterworks that pick up and distributed the water through a series of cistern connected with a particular tipe of chanels which name is "cunicoli". Under Roman rule the waterworks was extended and improved, but under Angioni rule, in 1266, the city had a new urban expansion with an increase of extraction of "tufo" for new buildings: one of the carateristics of Naples is that the building stand up the cavities which supplied materials for its costruction. Between 1588 and 1615, some laws forbade introduction materials for construction, in the city. The population spared sanctions and satisfied the necessity of buildings, extracted "tufo" below the city, through already exiting well and extending the cisterns with drinking water. 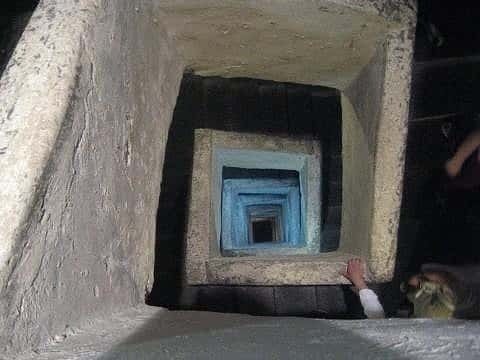 This type of extraction, defined "bottom up", required particular techniques for stability of the underground and to avoid unforeseen collapses. Only in 1885, after a terrible epidemic of colera, the use of the old system of distribution water was left in order to adopt the new waterworks than still it is in function. The last participation of underground was during the second world war, when it offered refuge to the population adapting the structures of waterworks to the requirements of the citizens. In Naples was prepared 369 refuges in cave and 247 refuges for no landslade. An official list of the Ministry of the Insides, in 1939, enumerated 616 addresses which leaded in 436 refuges, some of which with more accesses. The preparation of refuges caused another division of the ancient waterworks. When the war ended, lacked the means of transport and all the rubble were unloaded in the underground, buring the memories of that sad period. Until the end of years '60 has not been spoken about the underground, and many citizens continued to use the wells like rubbish dumps. From 1968, happened geological instability caused of the breaking of the sewer system or leaks of the new waterworks: in all the cities of the world these cases are evidenced with floodings or with regurgitations of sewage in surface. In Naples, instead, because there is a big underground, there are important abysses. After 20 years of diggings out and reclamation, and with engagement and sacrifice of volunteers which, after the job, descended in the underground of Naples in order to bring back an historical medical report, today it is possible to know one unknown page of the history of Naples. In the visits guided in the underground, is gone under the Spanish Quarters, in vico S. Anna di Palazzo 52, where Michele and Salvatore Quaranta brothers, have founded the Free Association Underground Hikers that has for objective the grater knowledge of "the inferior" city. Coming down in the cavities the old cisterns of the Carmignano waterworks will be able to admired and the feelings of who took refuge there during the war will be able to lived. On it walls are draw history pages, names and caricature of personality of the age, customs of the age, soldiers of several nations, dates, information on the two Italian submarines - the Diaspro and the Topazio - that operated during the war, and still aerial and tanks and the frases of who, liked to leave the memento.